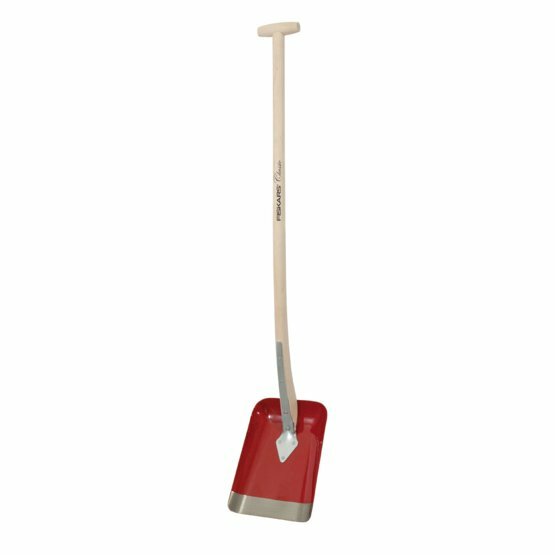 Fiskars Classic Shovel with its wooden shaft and broad scoop is a great tool for moving soil, snow or any other bulkmaterial in your garden. Its long shaft and simple handle is perfect for lifting and shovelling material. This tool makes a perfect companion to the spades in the Classic range.